Many of us have financial outgoings that, from a practical point of view, we can’t simply avert. This can apply at both home and work, but relief could be at hand in form of flexible technology. Through wisely utilising it, you could trim or, at least, better manage your financial obligations. Here are a few examples of such technology that, should you take them up, could prove surprisingly financially rewarding in various aspects of your life – both professional and personal. Technological advances have engulfed the finance industry, leaving certain responsibilities capable of being completed in seconds due to an automated algorithm, rather than hours on the initiative of an expert with years of analysing experience. The implications are largely positive for consumers. 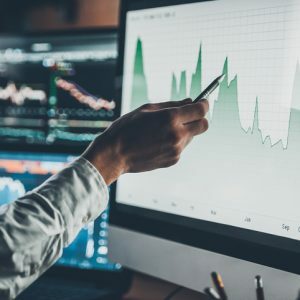 Complex algorithms can efficiently assess risk and analyse data, enabling customers to access a wider range of digital services while reigning in their expenditure, says The Next Web. Your business probably relies on a broad variety of office technology which must be updated or replaced in timely ways to prevent blatant holes opening up in your workplace security and privacy. If all of that seems like it could be expensive, that’s because it can be… if you buy corporate software. An alternative strategy is leasing it; consider, for example, that Microsoft allows users to subscribe to high-end service and product suites, as Entrepreneur points out. Staying on the subject of software, you shouldn’t overlook how the software itself can equip you with tools conducive to eased financial management. Through using this software, you can add more skills to your financial management repertoire, making these skills truly transferable. Examples of suitable management apps include money-saving, stock exchange and budgeting apps, which can spare you having to learn tips from financial advisors and other professionals. These apps also tend to be laid out intuitively, allowing you to make sense of otherwise complex topics. With every year seeing 45% of financial intermediary services falling victim to economic crime, the finance industry understandably prioritises security and privacy. A fresh layer of security – this one practically impregnable – could be added in the form of blockchain technology. While blockchain technology can’t quite always prevent fraud arising from human error and traditional scams, it remains much safer than current practices relying on digital exchanges. One day, blockchain could even form the foundation for pretty much every virtual transaction. If your firm’s phone system currently remains PBX-based, it could be needlessly losing you money for potentially spending on other aspects of the business. However, making your phone system a cloud-based one accessible through a web-based portal can save you that money. One example of a cloud-based phone service is Gamma’s Horizon, which would let you freely terminate calls to UK fixed destinations and tweak the price imposed for your customers. You can easily imagine the kind of competitive edge that this can lend to your business.